Avoiding Trouble During Visa Applications - Experienced Law Firm Utah | Buhler Thomas Law, P.C. When it comes to immigration law and obtaining a work visa, even a single mistake can lead to big problems. At Buhler Thomas Law, P.C., we’re proud to provide immigration attorney services that will help you avoid some of these areas. Many of these are fairly simple areas that some people simply aren’t aware of. Here are a few basic tips for avoiding trouble during the application process. 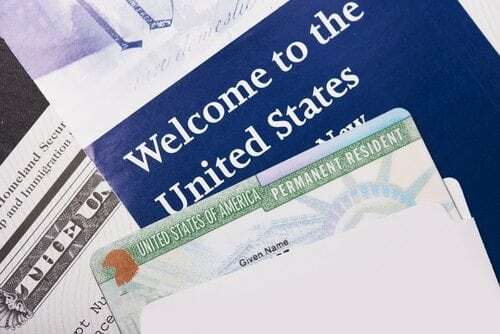 Applications during the green card process take time, and it’s almost inevitable that they’ll take longer than you expect. The best approach is to plan for these delays. If you need a work permit or status renewal, plan your application far in advance knowing that it might take a while to be processed. For help with the proper dates here, speak to our immigration lawyers. Showing up late for an appointment can lead to a major delay in an application process. Always try to show up early, as there could be a line or another delay of some sort. Being late can be a major detriment to your case. If you ever move while you’re in the U.S., you have to update USCIS. Each member of the family has to hand in separate notifications, and these must be sent within 10 days of relocation. This is done with form AR-11. If you already have a visa, take great care to get familiar with the limitations and restrictions placed on you. Even a minor violation can lead to deportation and the revocation of a visa. Finally, ensure you have assistance from a top immigration lawyer like those in our office. Professionals work closely with visa and green card holders, and can answer important questions and help you avoid mistakes. For more on our services, contact the offices of Buhler Thomas Law, P.C. today.